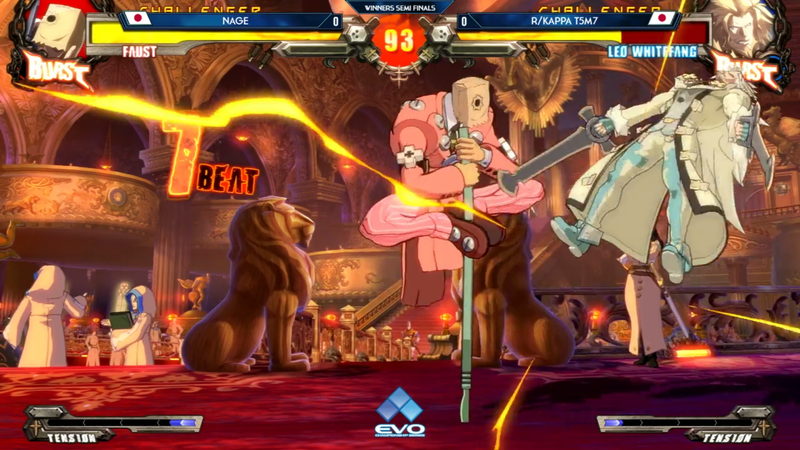 Day two finals are underway at Evo 2017, starting with Guilty Gear Xrd Rev 2. Day two finals are underway at Evo 2017, starting with Guilty Gear Xrd Rev 2. Top 8 play will continue throughout the night, with Injustice 2 and Super Smash Bros. Melee to follow on the Evo Twitch channel.